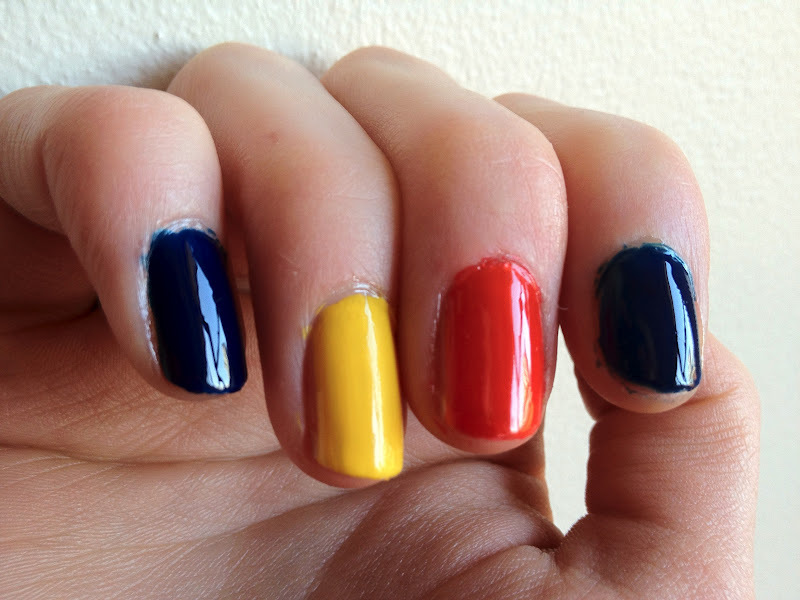 A quick post today, because I'm off to the pub to watch the fire of my loins, the mighty Adelaide Crows play against Hawthorn in the last AFL Preliminary Final for the 2012 season. If When the Crows win, they will be competing against the Sydney Swans in the Grand Final. And just perhaps , we'll see something other than the bloody rugby reported in the NSW media. 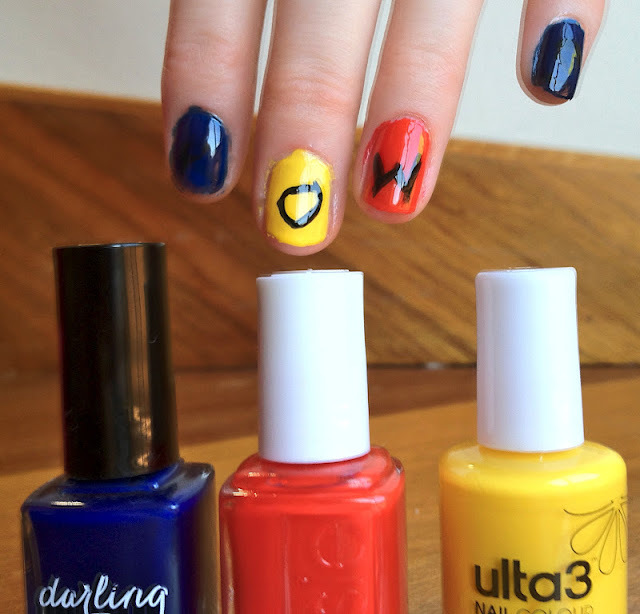 I've dressed my nails up for the occasion in navy, red and yellow and a terrible attempt at writing CROWS on my nails using an Island Girl nail art pen (black not showing up on the navy + my shaky old lady hands = bleurgh). Like I said, terrible drawing here! My partners in crime, Hello Darling in In The Navy (sublime application with these polishes! 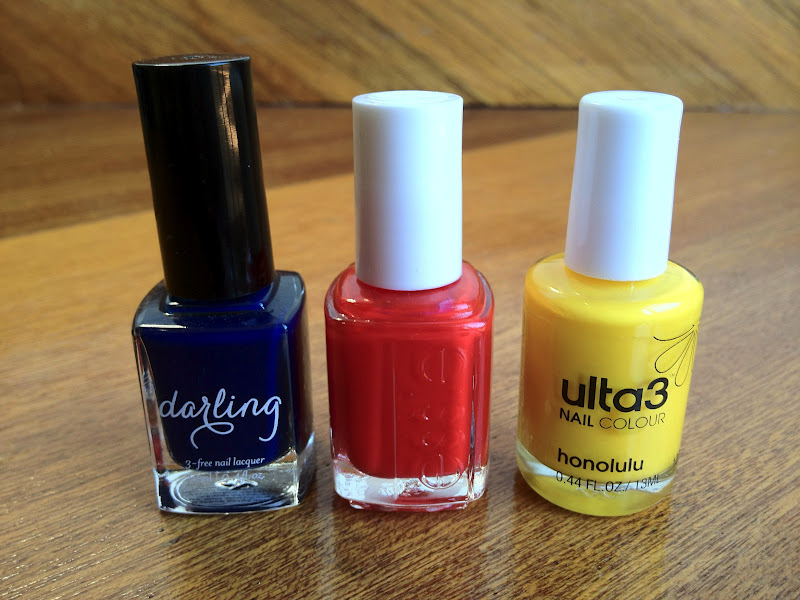 ), Essie in Geranium, and Ulta3 in Honolulu. Off now to go cheer my heart out, and try to drink away this image now burnt into my brain. Nothing like good looking half nekkid mens to make one do a double take. I concur with your frowny face above. Thanks, SJ. Love a good primary colour. 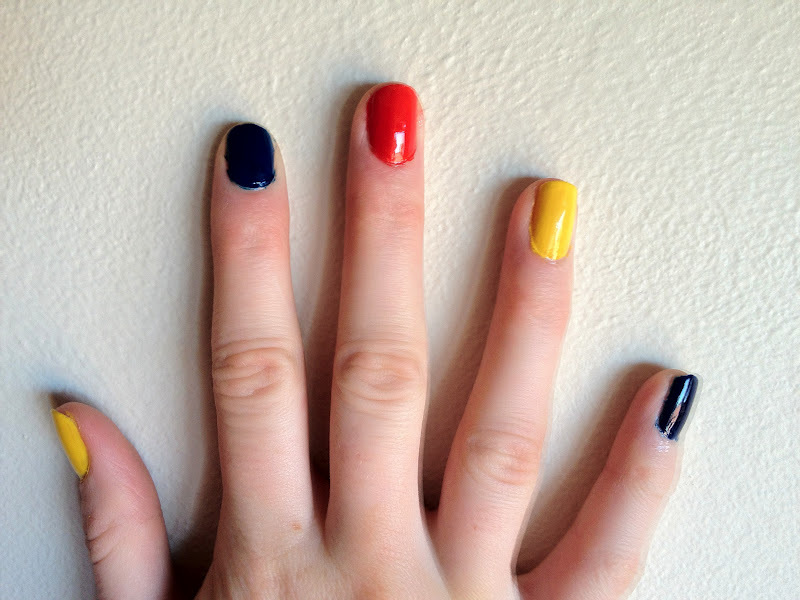 At first glance, I was like "Oh, she's doin' the German flag! But why our flag? Oooohh it's blue. No flag. How sad." :D I totally enjoy reading your posts just because I love your sense of humor. Thought it needs to be told.